Whenever I go to events, I always make sure that I bring all the essentials in my bag. I'm used to carrying big shoulder or tote bags where all my things are packed. I have the basics inside my bag- planner, umbrella, makeup kit, wallet, coin purse, mobile phones, and identification cards. These things are important to me especially my mobile phones and identification cards. I know some of you will suggest to bring only a few from my list above because there will be instances where an unfortunate event can happen any time. I always ride the mrt going to events and I'm aware that those unfortunately events may arise any time like losing my belongings from snatchers and thieves. Since all the things that I use for work (blogging) are inside my bag, I also need to protect them from the forces of evil. The solution to my fear of losing the things that's important to me is to invest in a bag that's strong, durable, and cannot be destroyed easily by using sharp objects. 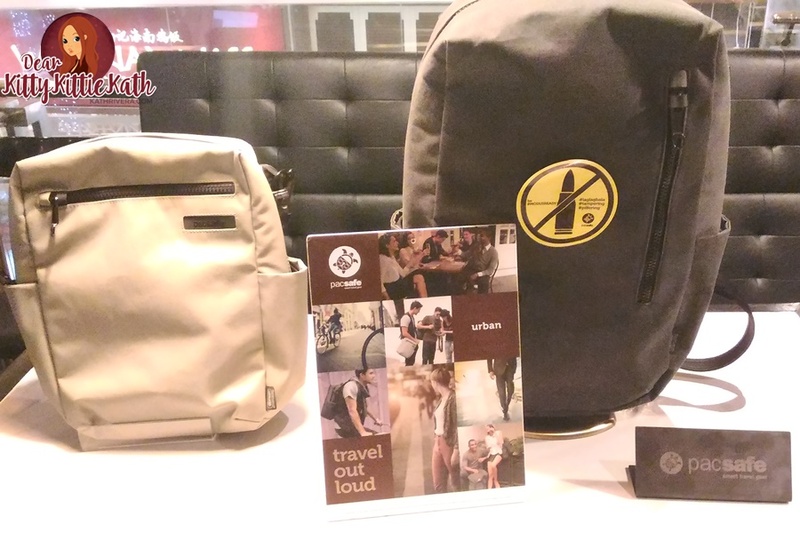 Enter Pacsafe, the brand that will protect your precious belongings not just while on vacation but each time you step out of the house, with Pacsafe’s innovative range of bags and travel accessories that are also perfect for everyday use. More information about the brand below. Pacsafe continues to evolve both through its technology and designs. 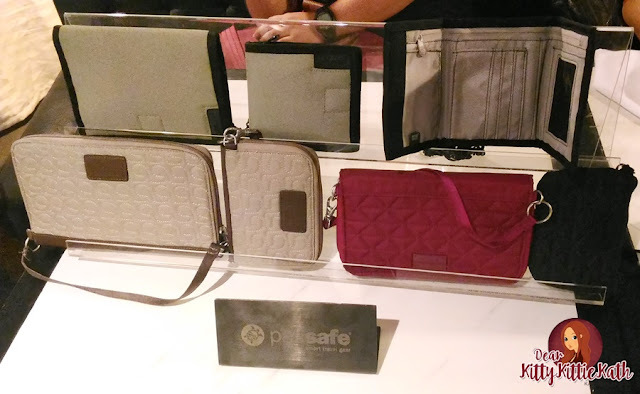 Not only are Pacsafe products engineered and tested to thwart thieves and stand up to the rigors of travel, but they’re also simple and stylish enough for everyday use. Whether you’re traveling to and from work, hanging out with your friends or catching some rays at the sandy beach, there’s always a Pacsafe product for everyone and every situation. At the heart of every Pacsafe® product is one clear purpose - to help travellers outsmart thieves. By helping to keep their gear secure, we give them the confidence and peace of mind to do more and enjoy more. Not only are our products engineered and tested to thwart thieves and stand up to the rigors of travel, they're simple and stylish enough for everyday use. Making Pacsafe bags unquestionably the right choice from the best in anti-theft. Flexible, lightweight, stainless steel wire is integrated into our adjustable Carrysafe®straps making it invisible to the eye, yet very effective at helping to prevent bag slashers from slicing through and running off with your gear. The brand’s extensive lineup of products ranges from RFID wallets and organizers, body wallets and belts, backpack and bag protectors, packable bags, straps and extenders, RFID body wallets and belts, locks and cables, portable safes, backpacks, sling bags, travel backpacks, laptop and tablet bags, duffels, shoulder and cross body, handbags and totes, wheeled duffels and so much more. And because the 'laglag bala' incident at NAIA became the problem of all travelers recently-foreign or nationals are thinking of ways on protecting their luggage and travel bags. Good thing that Pacsafe has bags that is dubbed as 'anti-laglag bala.' 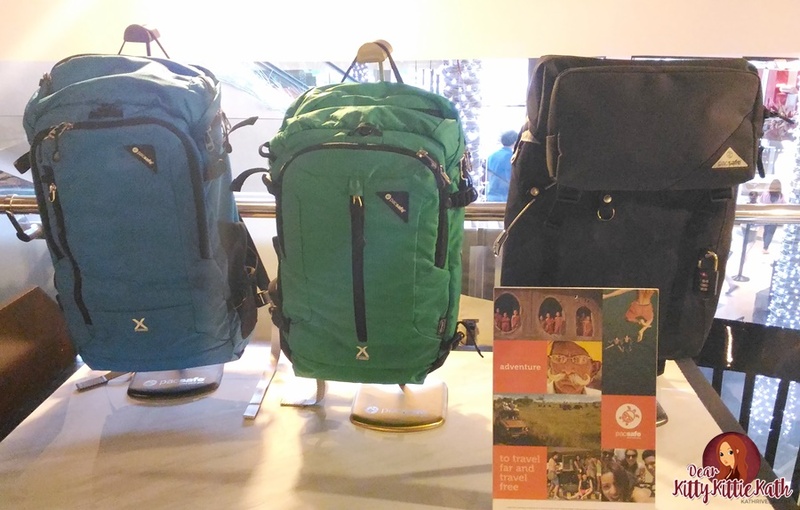 If you love travelling but worrying about the safety of your travel gears, you should visit their store now and check the bag models you see below. 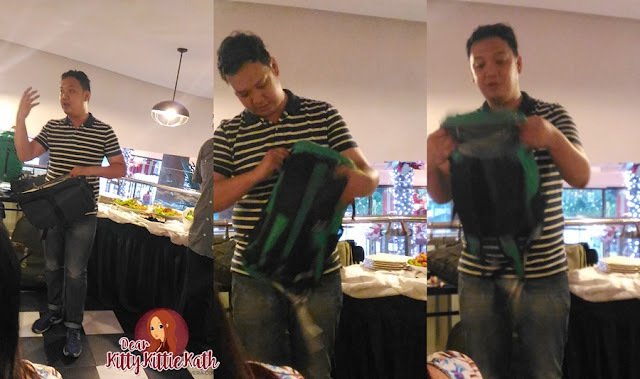 During the blog con, Pacsafe's marketing manager Mr Eros Enriquez introduced to us the models of Pacsafe bag that is perfect for your travel needs. He also demonstrated to us how safe those important belongings will be inside a Pacsafe bag. 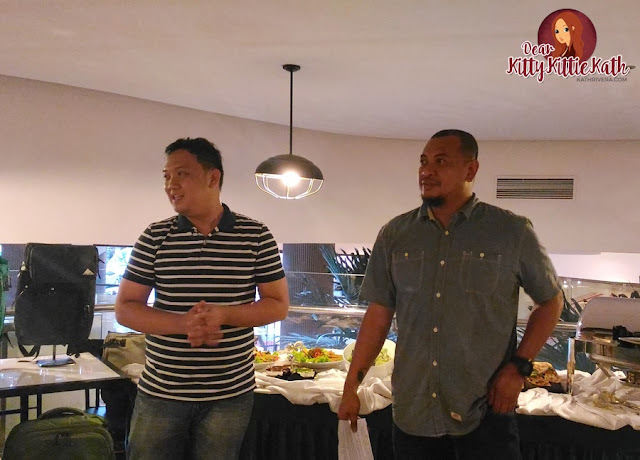 He also gave us first dibs on the new collection that will be launched early next year. The bag that I'm wearing on the first photo above is one of the bags in their newest collection. 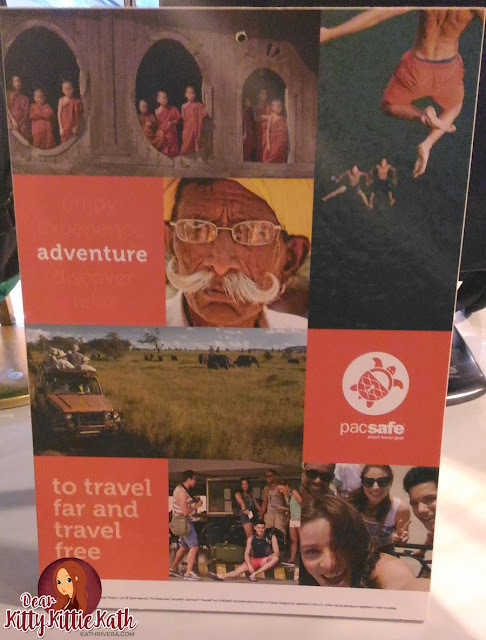 Pacsafe sees itself as every traveler’s best mate or buddy as they promise to have everyone covered so they can get the most out of every journey. Thank you so much Pacsafe for having me and for sharing tips on how to be a smart traveler everyday. Those tips will surely help me face my fear of pick pockets, snatchers, and thieves. And yes, it is important to invest in Pacsafe bags because it's always better be safe than sorry. Visit PACSAFE at Rustans Department Store, Duty Free Fiesta Mall, Fashionrack Designers Outlet, Wellworth Dept. Store, The SM Department Store, Robinsons Department Store, ROX, The Travel Club, Bratpack, Urbanize, The Landmark, The Metro Dept. Store, Tripologie, Boston Sports Lifestyle , Go Shop, Lee Super Plaza, I studio, Islands and More, NAIA Terminal 3, Lazada, and Flight 001. 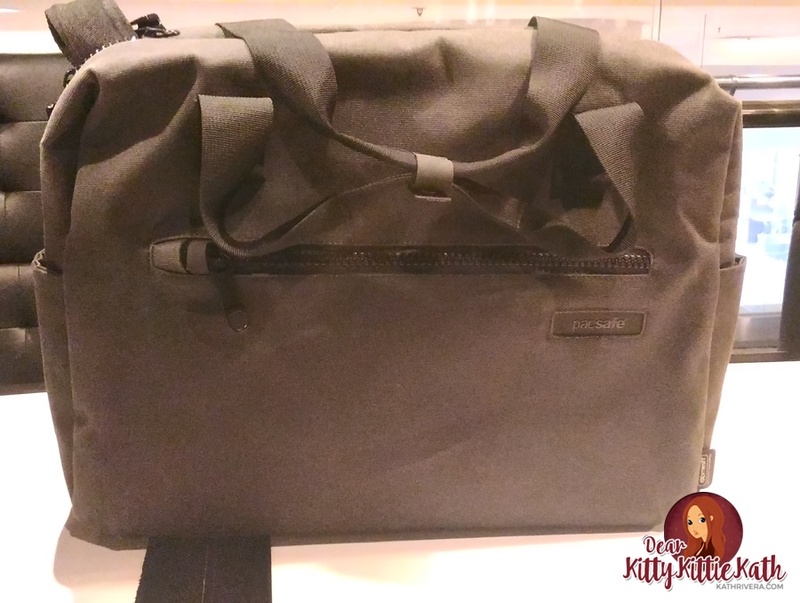 Nice bags there simple yet unique and durable thanks or sharing this tips on how to alert on everyday travel especially for those moms like me where my work is far from home and always need to ride in a bus that always full and most of the time you have to stand just to go home early..